You know what I could eat every single day? Fresh shrimp. I am so fortunate to live in a coastal town where you can buy local shrimp (when in season) on the side of the road for $5-$6/pound. There is nothing finer. For these tacos and also for creating a shrimp dip bar (will post about my favorite dips for shrimp later) I oven roast the shrimp. 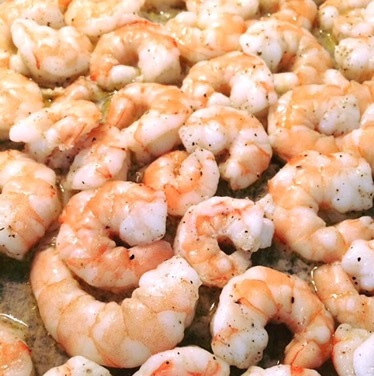 This is as easy as coating your peeled and deveined shrimp in EVOO, salt & pepper, and spreading them on a lined baking sheet. Roast at 400 degrees for 6-8 minutes depending on the size of your shrimp. Now, sauté finely shredded cabbage in a couple tablespoons of EVOO until it softens. Whisk together 3/4 cup of Greek yogurt, a handful of chopped cilantro, juice of a lime, and 1/2 teaspoon cayenne pepper. 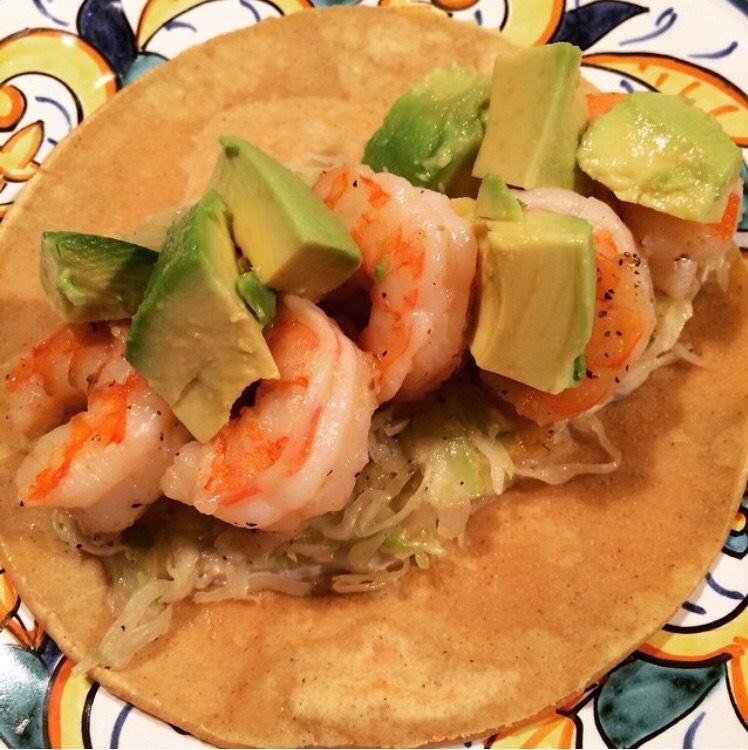 Warm up some uncooked corn tortillas (Tortilla Land are awesome) and then spoon in some yogurt sauce, cabbage, shrimp, and top with chopped avocado. Enjoy! !